Eastern State Penitentiary is a historic site located in Philadelphia, Pennsylvania. The prison was founded in 1829. It was in use for 142 years, closing in 1971. At one time, the penitentiary was the most expensive building in the United States. The Wagon wheel floor plan was the model used to reform criminals. This model focused on strict isolation of the prisoners. There are 300 prisons over four continents that have since adopted this model. The location is also known for its grand architecture. Your student group is sure to experience interesting sights while touring the facility. There are various options to consider when planning a trip. 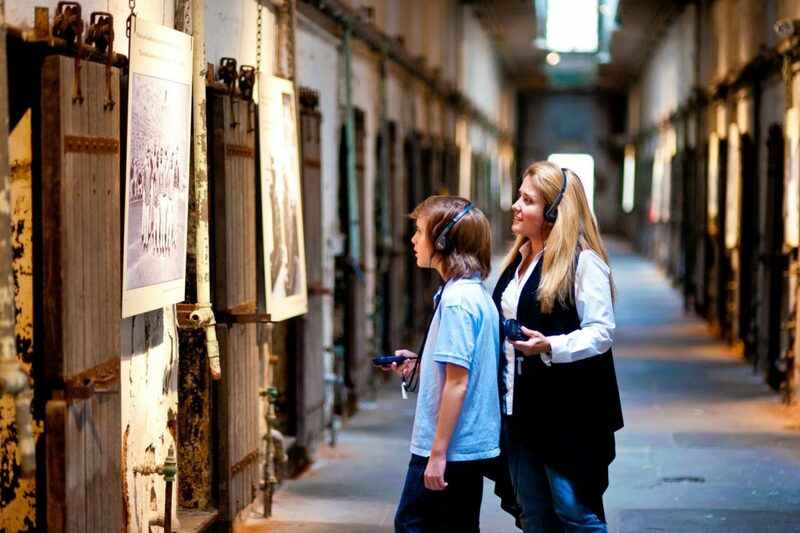 These may include but are not limited to: hands-on history demonstrations, interactive audio voice tours, and observing exhibits in the prison Museums. There is a fun scavenger hunt that is also offered to students as part of the experience. The hands-on history tours involve group participation. They are offered in the regular season but can also be booked in the winter months. These demonstrations are shorter in length usually five minutes or less. One possible choice is for you to learn how to unlock an escape-proof iron cell door. The penitentiary has housed some famous prisoners. These include, Willie Sutton and AL Capone. While touring the location your student group will be able to see Capone’s restored 19th century cell, hear stories of inmate escapes, and marvel at the exquisite art installations. There is also an annual tour for your student group to consider called “Behind Terror Walls.” This is offered in the fall. Eastern State Penitentiary is a one of a kind prison with an interesting historical background.